The U2 singer is perhaps the most emblematic of Steve's musician friends. 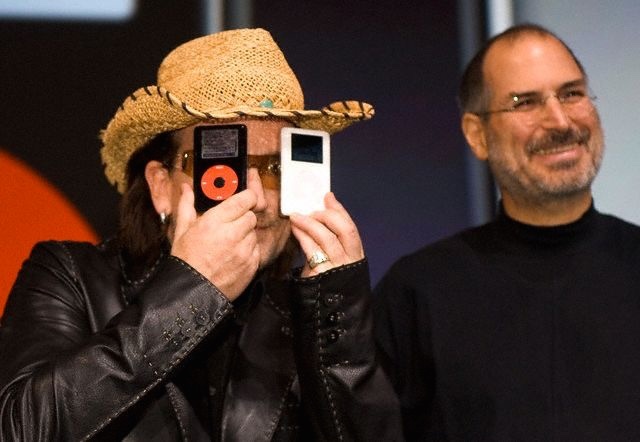 Bono played a critical role in having U2 publicly endorse Apple's iTunes Store efforts, and go as far as partnering with the company to make the U2 iPod in 2004. Bono also dealt with Steve on a personal level, since he purchased his Manhattan apartment (on the top floor of the San Remo towers) in 2003. He publicly stood out in defense of Jobs over his supposed aversion to philanthropy, calling Apple 'the largest contributor' to the (RED) campaign with its iPod product line.